From protecting merger discussions to everyday document management, enterprise DRM is a mature, mainstream enterprise technology. So why aren’t more companies using it? If you pay $1.99 to download an ebook for your Kindle, it’s protected by DRM that stops you sharing the contents, and if Amazon wants to, it can revoke the document so you can’t read it any more. Is your company’s current price list protected nearly as well? With information rights management (often known as enterprise DRM, short for digital rights management), you could make sure that price list was only shared with your customers, blocking them from sending it on to your competitors and automatically blocking it at the end of the quarter when you come out with new prices. Or you could share specifications with several vendors in your supply chain during a bidding process and then block everyone but the winning vendor from opening the document after the contract is finalized. You can make sure that contractors aren’t working from out of date plans by making the old plan expire when there’s an update. Tracking and visibility is useful for compliance as well as security; you could track how many people had opened the latest version of the employee handbook, or see that a document you’d shared with a small team was being actually read by hundreds of people. A recent survey by secure collaboration vendor Intralinks found that only 53 percent of enterprises classify information to align with the access controls that are supposed to be protecting it. That’s especially problematic during confidential but time-sensitive processes like mergers and acquisitions; if you’re worried about a deal falling through, it’s tempting to start mailing unprotected Excel files around rather than jumping through hoops to grant access correctly. That’s probably why one survey of executives involved in M&A by Ansarada (whose Secure Office service is designed for sharing documents during the M&A process) found that 71 percent had suffered data loss. And you don’t have to be the NSA to suffer from insider attacks; early this year U.K. media regulator Ofcom discovered that a former employee had downloaded six years’ worth of data about TV broadcasters before leaving, and promptly offered it to their new employer, a rival broadcaster. With rights management, Ofcom could have made those documents worthless because once the employee left, they would have lost their rights to open the documents – and they could have been blocked from printing them or copying the contents as well. New data privacy laws like the EU General Data Protection Regulation will make those kinds of losses even more expensive. Dan Plastina, who runs Microsoft’s rights management offerings, including Azure RMS, says that companies are beginning to realize that protecting the perimeter and devices is no longer enough and they need a data-centric approach. There are some things that rights management will never be able to protect you from, like an employee snapping a photograph of their screen with a smartphone, but that’s not a technology issue; it’s a management problem (and at that point, the employee can’t claim that they shared the information accidentally). Typically, rights management deployment runs into two issues, says Plastina. “Either people left everything up to the users or they went crazy in terms of the breadth and said ‘I’m going to protect everything’.” Neither approach works well. “IT leaders don't have a good sense of what is sensitive or not,” he notes, so business leadership needs to be involved in deciding what to protect. You don’t need as many policies as you might think, either; policies for strictly confidential, confidential, internal and public data will cover most companies. You can’t rely on ad hoc classification, but being too restrictive is also counterproductive, Plastina notes. “Organizations will need to show some restraint. Start by going after email and SAP but with policies that are somewhat flexible so you keep productivity.” It’s also going to show you what the real workflow is in your business, which might not be what you think. Remember that rights management has to apply to executives, who will have to accept some changes to their workflow. “Given the recent large-scale data loss events in the news, it may not require as much effort as you think to obtain buy-in,” de Boers suggests. Microsoft is also working on improving the experience of automatically classifying and protecting documents inside Office, to be more like the data leakage protection features it already has, using the Secure Islands technology it recently purchased. As you type in a credit card number, Office will suggest that the document needs to be marked as confidential – but there will also be an option for the user working on the document to say that’s a mistake and change the classification back to internal (the way you can with Exchange data leakage protection today). The Office integration will be available as a private preview in the near future, and the Secure Islands tool is shipping now. Rights managed documents will be a key area for machine learning, both for tracking misuse and automatically classifying documents. Another Microsoft acquisition, Equivio, can do classification for legal documents today, and Plastina says Microsoft has plans to build on that. “You feed it a bunch of documents and tell it ‘go find more like this. Imagine an organization has a petabyte of data and they have users actively classify some content. Flexibility is key to adopting rights management. Secure Islands will help you find documents that need protecting, and turn protection off if it’s not needed. 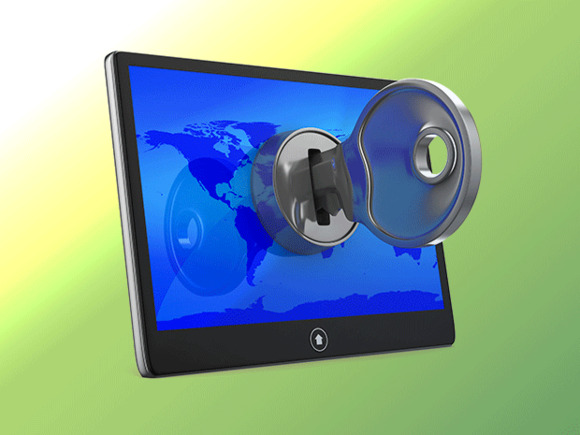 This story, "Why you need DRM for your documents" was originally published by CIO.